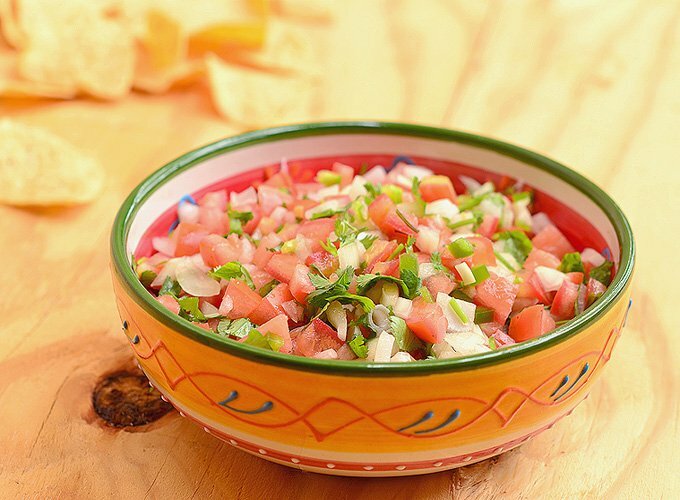 Homemade Pico de Gallo with fresh flavors from tomatoes, onions, jalapenos, and lime juice. This salsa fresca is amazing as a dip as well as condiment for your favorite food. 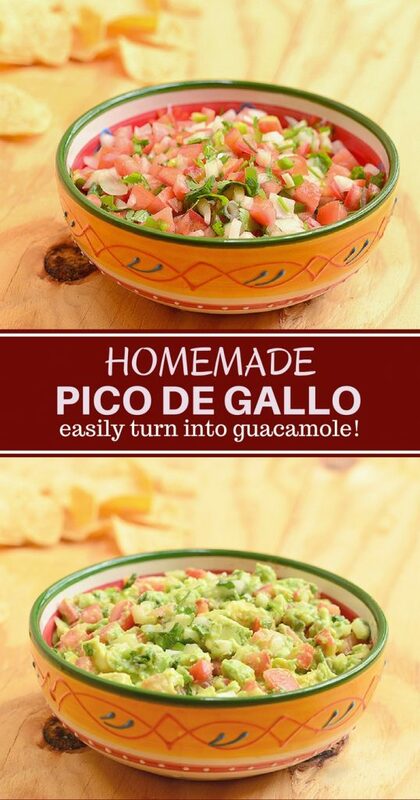 Easily turn it into guacamole with a few avocados! We love all sorts of salsa here at home so I like to make a big batch at least once a week to have handy in the fridge. 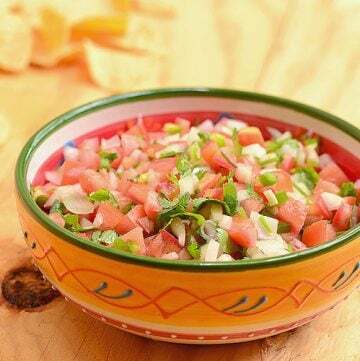 But although salsa verde and salsa roja are our favorite ways to spice things up, I have to say, nothing comes close to the marriage of crisp chips and chunky homemade pico de gallo in my book. This salsa fresca or fresh salsa is not only the perfect dip for your favorite chips but also a great condiment for breakfast eggs, grilled meat and seafood. Serve with tacos, burritos, carne asadas and all your favorite Mexican food. Pile on baked, roasted or scalloped potatoes for a quick boost of flavor. Toss with greens along with your choice of protein or with cooled pasta plus olive oil, black beans, corn and feta cheese for a delicious cold salad. Spoon over scrambled eggs or mix in frittatas/omelettes for a hearty breakfast. Stir with sour cream, Greek yogurt or cream cheese for a creamy dip or with Ranch dressing for a delicious dressing. Top burgers or use on bruschetta for a Southwest twist. Turn into a quick guacamole with a few mashed (or coarsely chopped if you like chunky) avocados! For optimum quality, this Mexican salsa is best enjoyed freshly made. With a quick prep and a simple ingredient list of tomatoes, onions, jalapenos, cilantro and lime juice, it takes but a few minutes to pull together. If you want to store pico de gallo for future use, place in an airtight container and it will keep up to 3 days in the fridge. I don’t recommend freezing as the salsa loses its crispness and becomes too watery from being frozen and rethawed. 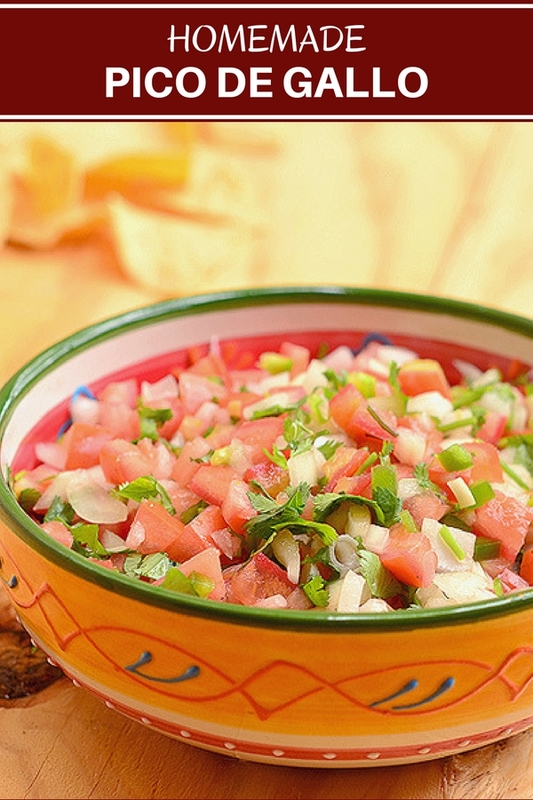 To keep excess juices from watering down the salsa, seed the tomatoes before dicing. Use ripe tomatoes which are sweeter and have maximum flavor. If you want to tone down the heat, remove seeds and veins of the chili peppers before mincing. In a bowl, combine tomato, onions, jalapeno and cilantro. Add lime juice. Season with salt and gently stir to combine.